Reaching the age of 80 while still on top is truly rare ina fickle world like showbiz. Rodolfo Vera Quizon, simply known as Dolphy, didexactly that last July 25 when he celebrated his 80th birthday. Makingthe occasion even more special was the launching of his autobiography titled Hindi Ko Ito Narating Mag-isa. The bookwas compiled by actress-writer Bibeth Orteza. He’s the unsurpassed King of Comedy in our localentertainment industry. Along with the accolades are all the myths and legendssurrounding the man. But by telling the story of his life, Dolphy would have peoplegain a deeper understanding of the comedy icon both as an artist and as aperson in real life. Tracing the many firsts in Dolphy’s life and inspiringcareer, PEP (Philippine Entertainment Portal) lists the five we discovered inhis autobiography. There are more revelations and fascinating side notes to bediscovered in the book, of course. But we leave all that for the public tounearth by buying the book. FIRST LOVE. 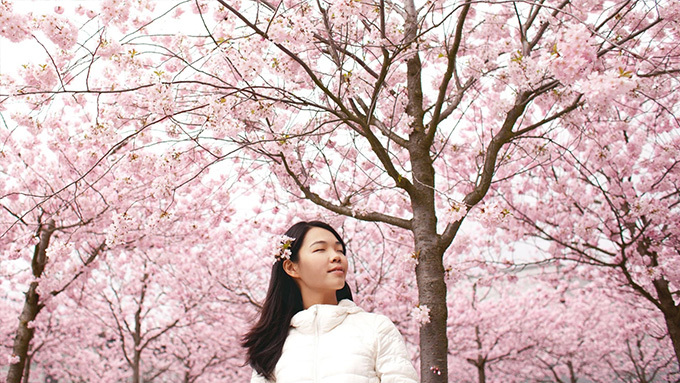 “Onecould fall in love many times during the course of a lifetime, but the firstrush of love always holds a special place in our hearts.” So goes a line weonce read about first love. And yes! Even a renowned ladies’ man like Dolphy had his owntaste of first love. In Dolphy: Hindi Ko Ito Narating Mag-isa, theComedy King divulges the name Aida Javier. She was his first love. “She could play the piano well because she was from afamily of musicians, but she was really a dancer,” confides Dolphy to writerBibeth Orteza. Dolphy describes Aida as “maganda ang mukha at angkatawan.” She was older by two years. Dolphy was only 18 at the time of theaffair. The book tells in detail how Dolphy, then still unknown,strove to win back his lost love but to no avail. Years later, the now famousDolphy bumped into Aida by chance. Their short exchange after not seeing each otherfor several years is recounted in the book in vivid detail. FIRST SEXUALEXPERIENCE. Before his full blossoming as a man and as an actor, Dolphy wasa shy and awkward teenager. “Hindi ko matandaan kung sino ang una kong crush, peroligaw-tingin lang naman. Hindi ko kinakausap,” recalls Dolphy of his innocentyears. FIRST GAY ROLE. 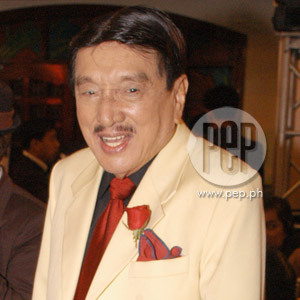 Throughouthis acting career, Dolphy has done gay roles. His effective portrayal of thelast surviving World War II Filipino comfort gay, Walter Dempster Jr., in thefilm Markova: Comfort Gay (2000) wasactually a culmination of years of playing homosexual roles. Dolphy’s first portrayal of a gay character was in 1954via the film Jack and Jill. In hisautobiography, Dolphy reveals how easy it was for him to portray a sensitiverole, even in that particularly conservative period. FIRST MOVIE. Afterhis successful stint as a theater and radio personality, Dolphy met Dr. Jose“Doc” Perez, dubbed as Sampaguita Pictures’ star maker, in 1952. Seeing hispotential, Dr. Perez included Dolphy in Sampaguita’s 1953 release Sa Isang Sulyap Mo, Tita. The film would be Dolphy’s first big-screen appearance. “After Sulyap natuwanaman sina Doc. Kuwela raw ako,” says Dolphy. He and Pancho Magalona, leadactor in Sa Isang Sulyap Mo, Tita, developeda deep and enduring friendship. For some reason, Pancho addressed Dolphy as“kid” instead of his screen name or real name. Dolphy was in this state when he crossed paths withABS-CBN’s Eugenio Lopez Jr., called “Kapitan” by his colleagues and staff, thenetwork executive asked Dolphy flat-out if he was interested to appear on television. Dolphy’s TV debut was BuhayArtista. For his talent fee, the ace comedian received P500 per show, whichwas about two-hundred pesos higher compared to his radio fee. When Dolphydecided to try his hand at producing movies through his own RVQ outfit, heasked Mr. Lopez’s permission to use BuhayArtista as RVQ’s first project in 1966. “Ang bilis ng sagot niya, ‘Sige, iyo naman talaga iyon,’” herecalls Mr. Lopez giving his consent without hesitation. Dolphy paints his relationship with Mr. Lopez as “verygood.” He would carry those good memories to heart and the feeling was mutual.During the time the Comedy King was once again struggling to regain control ofhis career, it was ABS-CBN who paved the way for his return by entrusting him withthe sitcom Home Along Da Riles in1992. The show went on to last until 2003.